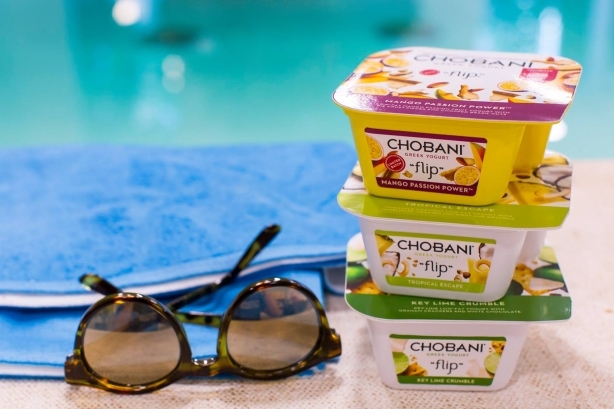 BodenPR has been brought on to help Chobani with media relations around the brand's launch in the Central American nation, adding to its existing U.S. Hispanic work for the natural Greek yogurt brand. MEXICO: Chobani has launched its product in Mexico and brought on BodenPR to help develop its PR strategy in the market. Chobani has been in Mexico for over a month, but officially announced its arrival in a press release last week. The brand’s official media launch takes place in mid-September, Michael Gonda, Chobani’s VP of corporate comms and public affairs, told PRWeek. Boden has been working with Chobani on a project basis since May, after Chobani directly contacted the firm at the end of 2015 about its capabilities and insights into the Mexican and U.S. Hispanic markets, said Natalie Boden, founder and MD of BodenPR. "[Boden] is helping [Chobani] with a PR strategy focused on media relations and a campaign directed at nutritionists," said Boden. "The launch strategy also includes a press conference with the CEO [Hamdi Ulukaya] and events with a key nutritionist influencer in Mexico." Mexico is the first major country to receive product exported from Chobani in the U.S. Ulukaya’s decision to launch in Mexico is in line with his strategy to move into markets that represent opportunities for the company but also fit a consumer need, explained Gonda. "The options available in Mexico are similar to how the yogurt aisle looked in the U.S. before Chobani [existed] - a lot don’t have only natural ingredients, a lot use artificial flavors and preservatives," he said. "All our comms focus on the special-ness of our food philosophy and the story of our company, through social media and interviews with reporters." The most important thing, noted Gonda, is getting people in Mexico to try Chobani’s products. Because of this, a lot of consumer relations efforts focus on sampling across stores in the country. The Mexico launch begins with Chobani’s Greek and Flip yogurt products, which can be purchased in 33 cities nationwide, including Mexico City, Guadalajara, and Monterrey. Nine retail chain stores will carry the products, including Comercial Mexicana, Costco, City Club, Fresko, HEB, La Comer, Soriana, Superama, and Walmart. Mexico is the 11th-largest economy in the world, and the U.S. Hispanic market is worth $1.5 trillion in purchasing power, Boden added. Boden is helping Chobani reach consumers through earned coverage, highlighting brand values. "We are also looking at more ways to tell the story of our company and talk about the nutritional value of our food with Hispanic media based in the U.S.," Gonda said. "The project is underway and culminates at the end of September." Boden is also helping Chobani develop a U.S. Hispanic strategy and media and blogger relations specifically for back–to-school season. "That campaign started last week focused on back-to-school recipes and ideas for Latina moms," said Boden. Moms in Miami and New York City are a particular target audience. The brand partnered with Latina nutritionist Malena Perdomo and the campaign garnered placements in top-tier Hispanic media including The Latin Kitchen, El Diario NY, La Opinión and Hola USA. Mamás Latinas and Impremedia’s digital lifestyle platform Para Ti Mujer conducted Facebook Live interviews with Perdomo. Within 12 hours, the Mamás Latinas video received more than 22,000 views, Boden said. Boden senior associate Janet Careaga is leading a team of eight on the account. Budget information was not disclosed. "A substantial amount of the work from a comms and logistics standpoint is being driven by Chobani’s in-house team, both in Mexico and in the U.S., focused on everything from social to media and launch strategy to overall marketing strategy," said Gonda. Chobani launched in 2007 in New York State. With more than $1 billion in annual sales, it has become one of the fastest-growing companies in the U.S.
Last week, Chobani expanded Gonda’s role as comms head to include public affairs. He has been VP of corporate comms since he joined the company in September 2014. Earlier this month, CMO Peter McGuinness outlined to PRWeek Chobani's plan to get Americans to eat as much yogurt as Europeans do.